Rex Bartlettâ€™s presence in the Hawkes Bay real estate arena is defined by results. Selling real estate for the last twelve years and having moved to Sothebyâ€™s where he is a valued and proactive team member carving out a name for marketing and selling premium properties throughout the Bay, but with a focus on the wider Havelock North environs. 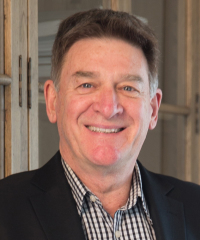 The high levels of repeat and referral business that Rex facilitates is testimony to his ability to forge trusted and robust working relationships with his clients founded on integrity, local market knowledge and an enviable track record for sealing deals. Rex understands the dynamics of selling, and the importance of clear, relevant and market savvy communication with his clients to ensure all parties are well-informed and armed with the knowledge to make confident decisions when it matters most. Underpinned by the professionalism and extensive resources of the respected Sothebyâ€™s International brand, Rex continues to consolidate his reputable place in the Hawkeâ€™s Bay real estate market. The world of sales has been a life-long vocation for Rex. Spanning 15 years in the hospitality industry, time in the travel sector and 25 years in retail, Rex has worked at both the front line and in sales management all of his life. This has honed his relationship-building skills and contributed to his success in the competitive real estate industry where Rexâ€™s negotiating skills come to the fore. When dealing with peoplesâ€™ most valuable assets, discretion and true business acumen are vital qualities which contribute to successful outcomes. Even after a lifetime in sales, Rex still gets an enormous amount of satisfaction out of cementing a property transaction knowing that his clients can move on with their lives once the SOLD sign goes up. Based in the well-located New Zealand Sothebyâ€™s International Realty Havelock North premises, back-dropped by the legendary Te Mata Peak, Rex is a real advocate for the Hawkeâ€™s Bay region. He values the lifestyle that he and his family enjoy in this part of the world, and this makes it easy for him to champion the region to his clients. "We have bought and sold properties with Rex as the Licensee, so have been on both sides of the table with him. Ever the professional, Rex does his best to keep all lines of communication open and secure the best outcome. He is approachable and a...lways a pleasure to deal with." "We were extremely pleased with the service you provided when you successfully negotiated the sale of our property. We have no hesitation in recommending your services whether buying or selling a property in Havelock North and environs"
"I would like to thank you so very much for selling my home. I really enjoyed working with you and thoroughly appreciated your reassuring approach. Part of that reassurance was in your clear and unhurried way of communicating all that we needed t...o do. And still with an easy sense of humour! From the start I knew that my home was unique, and the market untested. It might be described as a niche home with appeal to many but particular to only a few. Yet within three months of it being on the market, it sold! I attribute that to your steadfast manner and understanding the needs and desires of potential purchasers. Communicating with you was always easy. You were reliable, punctual, attentive to detail and a good listener! Exchanges by phone, email, text or otherwise were always clear and promptly answered. The supporting documentation and plan for marketing were also clear and professionally presented. I liked the style. I’m sorry I won’t be working with you in future as I’ve left Hawke’s Bay, but I will have no hesitation in recommending friends and colleagues to you." "Rex Bartlett has recently helped us to conclude the sale of our property. We have found him to be professional, helpful, approachable and understanding, particularly of the stresses and strains involved in marketing a larger property. R...ex has ensured that we have been kept informed of all issues surrounding our sale and has enabled us to present our property to potential vendors in the best possible way by scheduling viewings in a timely and opportune manner. Rex has also successfully concluded the sale of a second property for us in a well-judged and proficient way and we have no hesitation in recommending Rex to anyone wanting to sell their property." "I wanted to follow up our recent sale with a recommendation for other sellers to use Rex. I owned a waterfront property in coastal Hawkes Bay and Rex was the lead broker. He dove deep into the property issues, understanding the beauty and the di...fficulties. He took the time needed and never handed things off to others. He discussed with me many options including trades and auctions. Rex earned his commission. He worked many angles and approaches which led to a successful sale. His follow up and help during the closing and final details was like my dad always said “you work just as hard on your last day as you do on your first”. Rex is a professional who knows the market and can help you navigate to a successful transaction. "It is our pleasure to recommend Rex Bartlett. We found Rex had a professional and courteous approach when marketing our property and would have no hesitation recommending him to other vendors or purchasers. We were more than happy with the outco...me." "I am delighted to provide this reference to Rex who recently marketed and subsequently sold our property. Rex is a personable man who is very professional at all times. Rex provided consistent feedback on all viewings and open homes which was re...ally appreciated. I thoroughly recommended Rex as a sound and very reliable consultant."